Here at Arbworx we really enjoy all the projects and challenges that come our way and with our quest for perfection and our attention to detail you can be sure that whatever service we undertake for you, we guarantee to deliver top quality results every time. 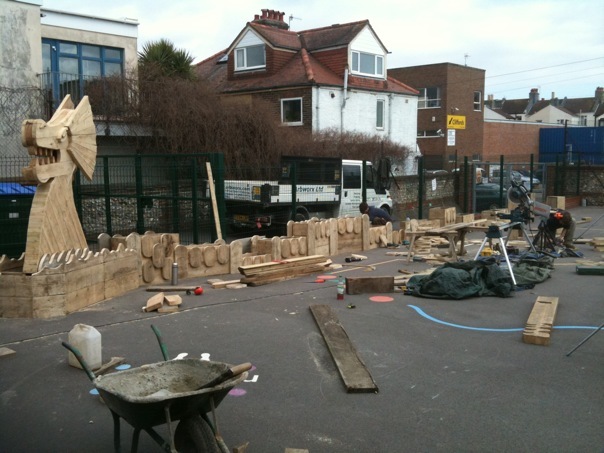 During the past year we have been privileged to work on a number of projects designing and installing play areas in local schools. 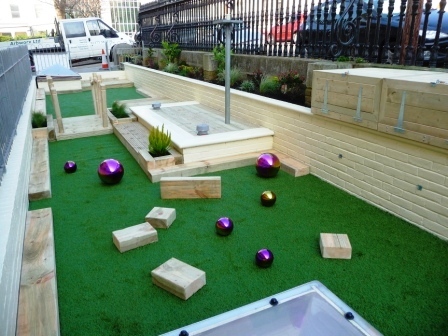 Still children at heart ourselves these projects really fired our collective imagination and we created some great play spaces. 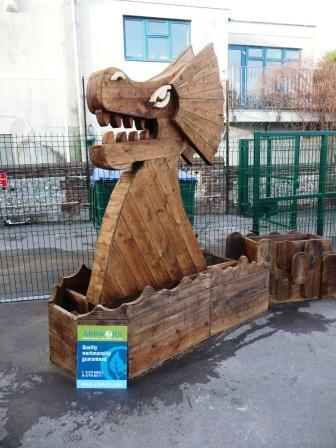 Better still is the sea serpent we built for a primary school in Hove; he’s designed to be used as a planter so the kids can enjoy the satisfaction that comes from growing their own produce. If you know of a school or youth club who would like something really unique of their own, please do let us know. It’s worth remembering that children have fantastic imaginations, so play equipment doesn’t have to be all singing or all dancing, nor does it have to cost you a fortune. We would be happy to provide you with ideas for simple yet effective shapes and low cost alternatives which will still provide hours of fun for your little ones. 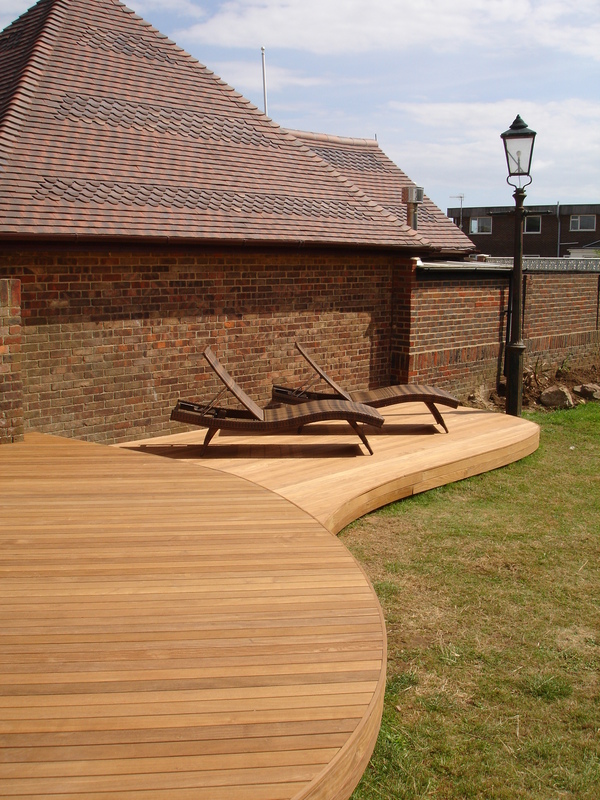 As specialists in timber decking working in and around Sussex and the Brighton area we are justifiably proud that our work is recommended by suppliers and customers alike, and you are welcome to visit our testimonials page to see this for yourself. We can design and install any type of decking and have even created our own Arbworx signature deck design using sustainable, responsibly sourced hardwood combined with stainless steel to give a contemporary and luxurious feel to any garden. Take a look at our decking page and our decking gallery for more details or visit our projectspage to gain inspiration from some of our favourite deck builds. 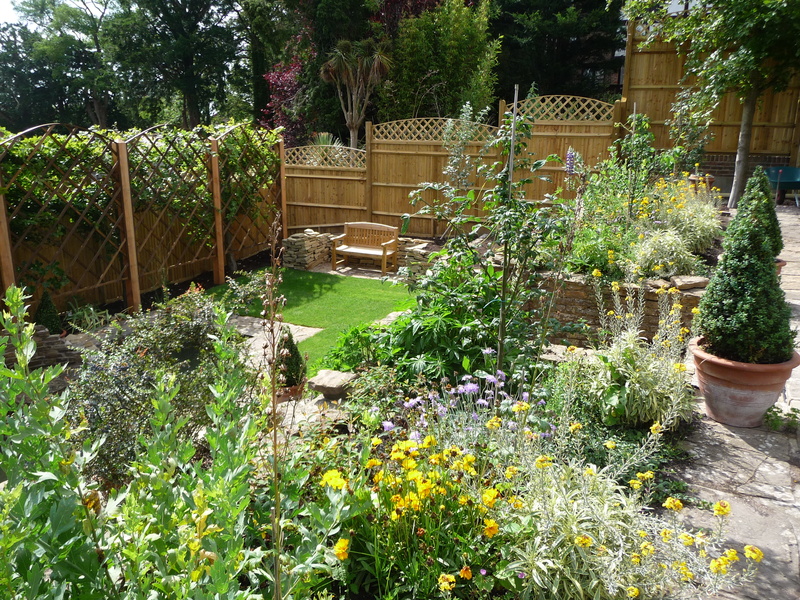 The staff in our fencing division have worked hard over the years to build up a reputation for fitting and installing some of the best fencing in Sussex. We install all types of fencing from closeboard, trellis, post and rail, willow hurdles, and lattice fencing to standard or custom-built gates and heavy duty wire netting and livestock fencing. Our fencing team have worked on a huge range of projects from the smallest of closeboard fences in domestic gardens to livestock fencing around large paddocks to keep in adventurous alpacas – it’s never dull in the wonderful world of Arbworx! 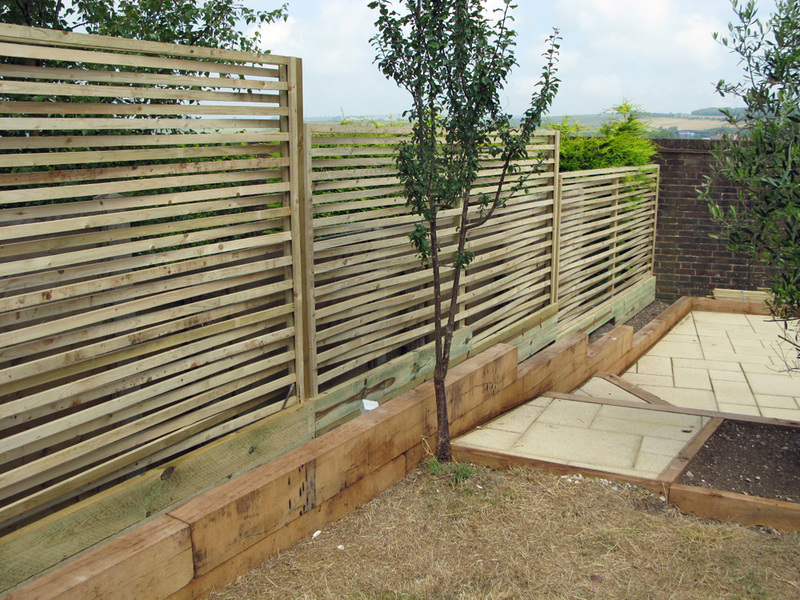 Our fencing page will give you an idea of the different types of fencing available, and you can see examples of our fencing work on our projects page. No reputable firm of landscapers would be complete without a fully qualified and insured tree care division, and Arbworx is no exception. Our owner / manager, Jon, holds a National Diploma in Arboriculture and trained as a tree surgeon at Brinsbury and Plumpton Agricultural colleges. 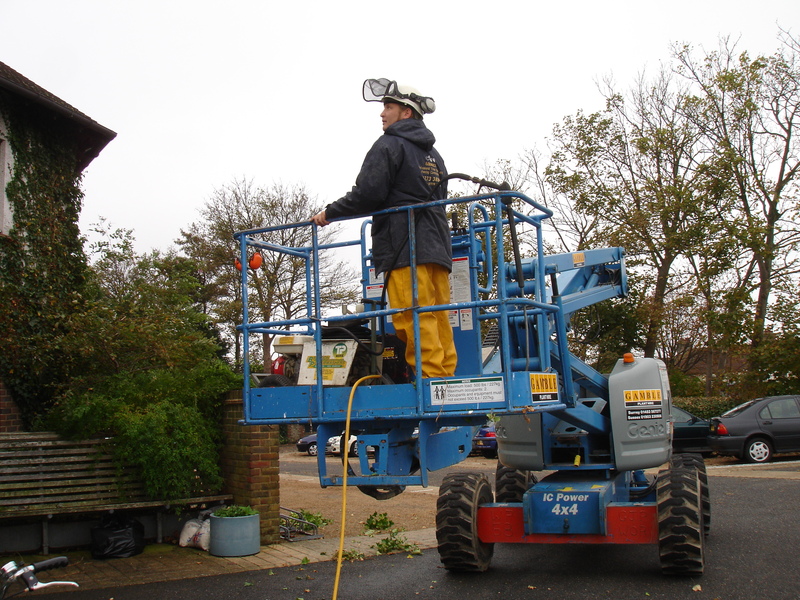 He spent 6 years working as a tree surgeon and contracts supervisor for Connick Tree Care before setting up Arbworx just outside Brighton in Sussex. 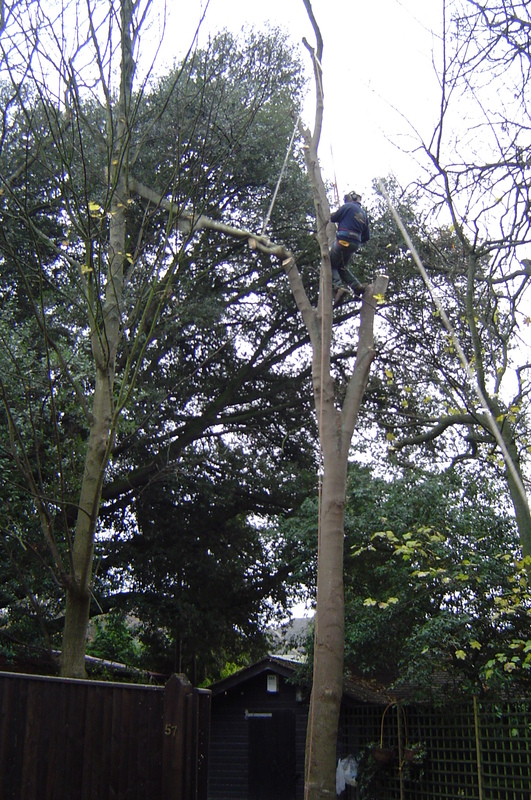 With his qualifications and experience and his passion for all things ‘Tree’ at the heart of our tree care division we can confidently say that Arbworx carries out some of the best tree surgery work in Sussex. Take a look at our tree care page for further details and visit our blog where Jon posts seasonal updates on the best way to care for your trees. Our landscaping division is where we pull together all the strands of our operations to provide our clients with the very best in garden design and installation. Arbworx offers both a domestic and commercial landscaping service as our clients for each area tend to have different requirements. For our domestic landscaping clients we offer a full range of general landscape gardening services including garden clearing, hedge trimming, driveway and patio laying, turfing, paving and of course, garden maintenance. We specialise in full garden makeovers and can work our magic on any outdoor space from sprawling country estates to city centre roof terraces. We also have a Aquatics Specialist on the team who delights in designing water features and advising on all aspects of ponds and lakes. Please take a moment to visit our domestic landscaping page for more details, and have a look on our projects page to see our results for yourself. Arbworx’s commercial landscaping team manages long term maintenance contracts for properties such as care homes, offices, blocks of flats and schools and ensures that the grounds are well cared for, lawns are cut and tended to properly, fences mended whenever required and trees checked and attended to on a regular cycle. We have worked for several schools in the Sussex area and are delighted that our clients at these properties think highly enough of our work to recommend us to other schools. All our staff who work on any sites where there are children, elderly people or other vulnerable groups are subject to full CRB checks. We also carry £10 million public liability insurance for your complete peace of mind. 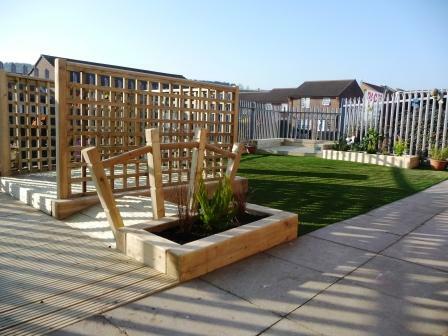 Please visit our commercial landscaping page for more details on the services we can provide, and our projects page has galleries of some of our favourite commercial landscaping work.